Recently, culture and design has been a big theme for me. I had the opportunity to travel halfway around the world to Cairns, Australia, to take part in the OzCHI conference – and in particular, the workshop on Inclusivity Interaction Design and Culture (IIDC). One of the reasons I’m a big fan of OzCHI is that it’s a great mixture of academics and practitioners. Everyone seems genuinely pleased to see each other, willing to share stories, and interested in different approaches. The IIDC workshop lived up to my expectations: academic experience ranged from PhD student to professor; practitioner experience ranged from beginner to knee-deep in the issues of cross-cultural design; personal background was from all over the world and we had a fine mix of ethnic origins. My aim was to try to find some answers to the question I was mulling over in my previous ‘Caroline’s corner’: “what is ‘a culture’ anyway?” – and I also wanted to get some *good* advice about designing for different cultures. In particular, I’ve been wondering about Hofstede for quite a while. I see his ‘four cultural dimensions’ concept cited frequently, but it never seems to work for me in practice. Was I being dim, or did my colleagues at the workshop also have concerns? Well, it turned out that a big theme of the conference was putting Hofstede to bed, as Ann Light has written in a recent piece. The workshop organisers opted for the classic format of getting to know about each other’s work in the morning, and then working on some key issues in the afternoon. We were all working cross-culturally in some way. Lots of stories stuck in my mind and I’d love to tell you all of them, but here’s a small selection. Ann Light has been working on a project that has included the UK, Chile and India. 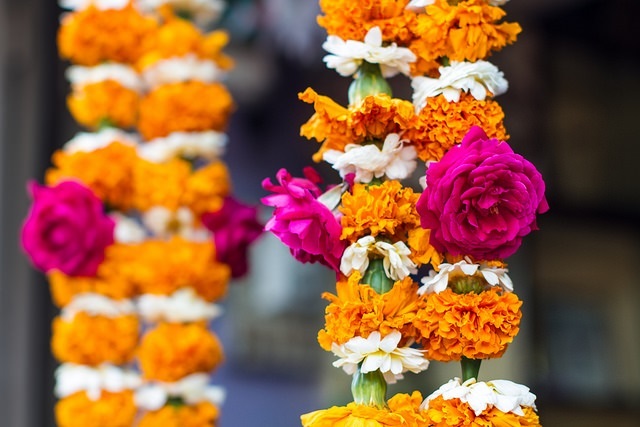 She told us about a charming ceremony in India where she was offered a garland of local flowers. As you might, she ducked her head towards the person holding the garland, and it was duly placed around her neck. Later, someone took her aside and said “Don’t worry, you’re a Westerner, no one will mind”. It turned out that she should have taken the garland in her hand: around the neck meant accepting a proposal of marriage. The lesson: be as polite as you can, but be yourself. Mostly, you’ll meet charming people who will accept that your failure to understand the local customs wasn’t intentional. Be curious: ask about their ideas, customs, and approaches. Show that you are interested in the differences and want to celebrate them. Dianna Hardy’s PhD research is with women of Aboriginal ethnic origin who are living in urban settings in Tropical North Queensland. She mostly goes to the women’s homes, but on one occasion she had to have a review meeting for a proposed design in a university meeting room. The usually relaxed women sat around a table, stiff and formal, and it was tough to get any useful feedback from them. She quickly learned that the setting of her encounters really mattered. This story chimed with me not because I’ve ever had the opportunity to work with this particular ethnic group (although I’d love to), but because it’s happened so often to me. Take people out of their own environment, stick them in an unfamiliar room, ask them to critique a design when they are not quite sure what they are supposed to do. It’s a guaranteed recipe for making them go stiff, formal, and uncommunicative. The lesson: think about what makes the people you are working with similar to other people. Are you putting them into an unfamiliar situation? If so, you’ll need to find ways to help them relax and to understand what is expected of them. Rule of thumb: the less well you know them, the longer you should expect to work on getting to know each other and searching for underlying similarities. One of us talked about a project that had run into the rocks when the UK-based partners had accepted some sponsorship in kind from a major multinational. Then suddenly, their overseas colleagues had backed off and become reluctant to co-operate. Eventually (after much misunderstanding), it emerged that ‘multinationals’ had become heavily attacked in a government campaign to ‘buy local’ just at that time, and they couldn’t be seen to be associated with a multinational in any way. The point of this story isn’t “look out for multinationals”, or even “track the political situation in the other countries that you are working with” (although it can definitely be a good idea to take a daily look at a reputable news site in each of the countries involved). The point is that any project can founder on poor communication. Those well-meaning UK people should never have taken a project-wide decision without running it past their colleagues. Gary Marsden talked about how he’d come out of an engineering /computer science background where he’d had a view that problems have ‘a right answer’. Moving to South Africa and engaging with local communities have changed his views: now he thinks maybe there is no answer, or maybe the answer is something completely different. Mostly, he’s learnt to trust the users to come up with something that is some sort of answer for them no matter how chaotic is might look to the researcher. The lesson: he urged us to “embrace our inner angst” over whether we are choosing the best methods for the people we are designing for, and then to abandon fixed ideas and accept unpredictability.